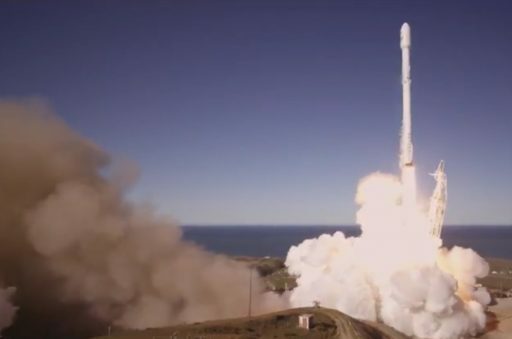 SpaceX’s Falcon 9 rocket made an impressive Return to Flight on Saturday, blasting off from California and earning double check-marks by achieving a flawless delivery of ten Iridium-NEXT communications satellites and successfully landing the rocket’s first stage at sea for the first time after a West Coast launch. 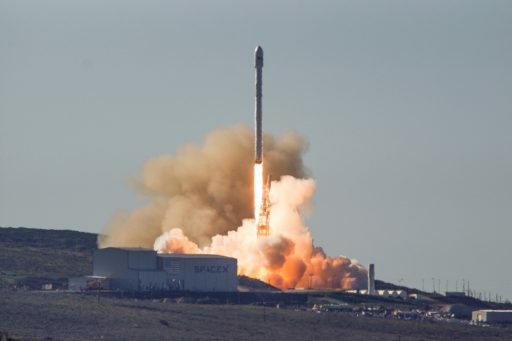 Powered by nine Merlin engines at the base of its first stage, the 70-meter tall Falcon 9 thundered away from Vandenberg Air Force Base at 17:54 UTC, ascending into clear skies with the rocket’s heaviest payload to date, weighing in at over nine metric tons. Racing due south, Falcon 9 fired its first stage just shy of two and a half minutes to dispatch the single-engine second stage on its way into orbit via an initial burn of over six and a half minutes. While the second stage finished its climb into a preliminary orbit, the first stage booster went through a multi-burn return sequence to achieve the first successful Drone Ship landing in the Pacific Ocean. A subset of the rocket’s Merlin engines was fired for a partial boost back to target a landing closer to shore with a second burn performed when hitting the atmosphere to step on the brakes and set up for a minute-long atmospheric descent. The booster then fired up its center engine and made final course corrections before folding out four landing legs for touchdown. Live camera views showed the 43-meter tall first stage setting itself down on ‘Just Read The Instructions’ ever so gently to check off SpaceX’s seventh successful first stage landing. The second stage flew passively for half a lap around Earth before re-starting its MVac engine on a very short burn of only three seconds to circularize the orbit 625 Kilometers in altitude. 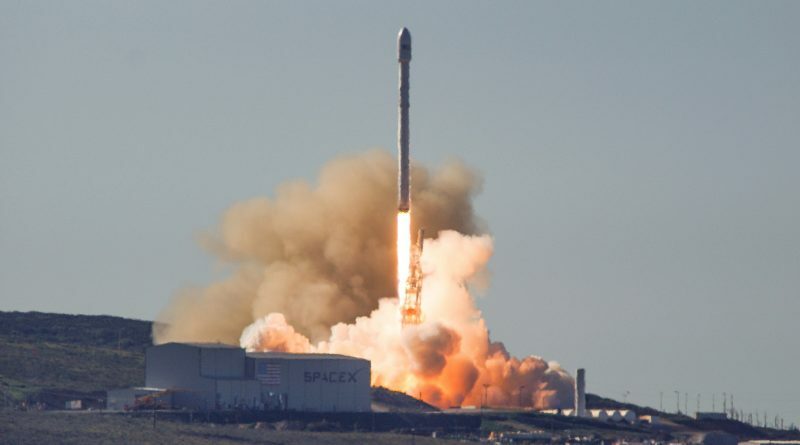 All ten Iridium-NEXT satellites were seen departing the upper stage over the course of a 15-minute sequence, marking the successful conclusion of a long-awaited Return to Flight mission by the California-based company. 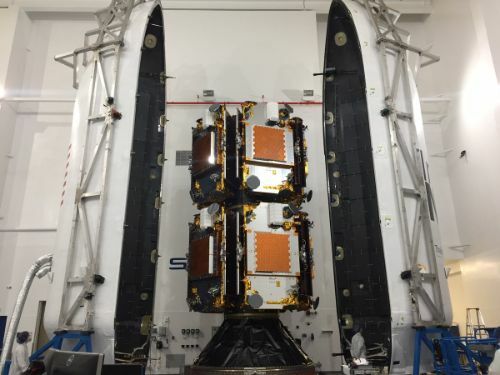 SpaceX holds a total of eight launch orders from Iridium Communications to launch nearly all satellites needed in the company’s next-generation constellation. 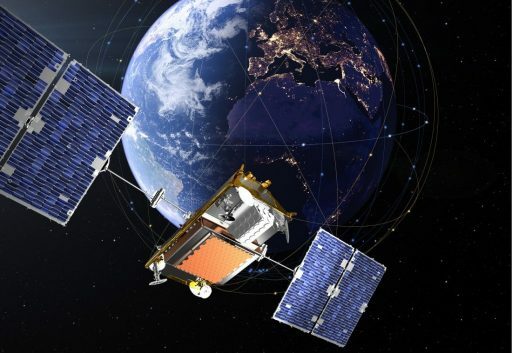 The replacement of aging Iridium satellites – in operation since the late 90s & early 2000s – represents the largest satellite constellation upgrade in history, coming with a price tag of $2.9 billion for the Virginia-based communications provider. 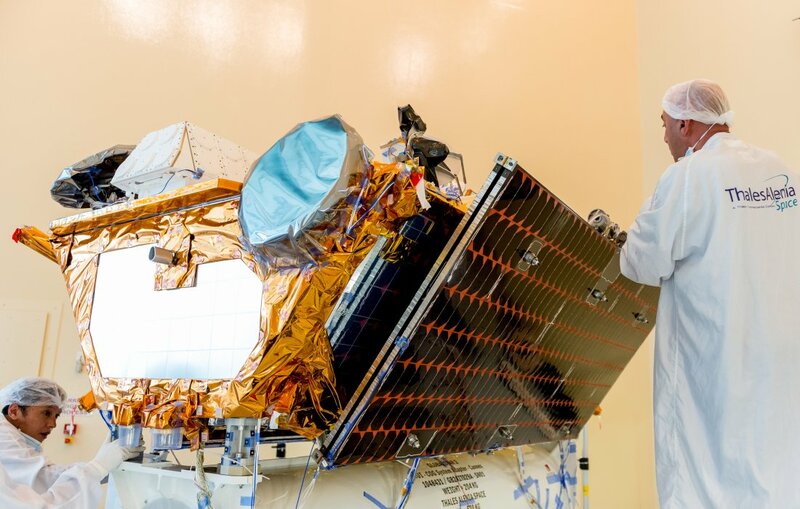 Iridium functions by deploying a total of 66 active satellites in a precisely maintained orbital constellation to achieve full global coverage. Data packets, including voice communications, are picked up from a user terminal or satellite phone and routed via inter-satellite links to their respective destination that may be anywhere on Earth. Iridium contracted Thales Alenia Space to build 81 identical Iridium-NEXT satellites – 72 of which will be launched to fully rejuvenate the satellite constellation and have one operational spare in each of the six orbital planes while the other nine satellites act as ground spares, kept ready for launch when needed in orbit. 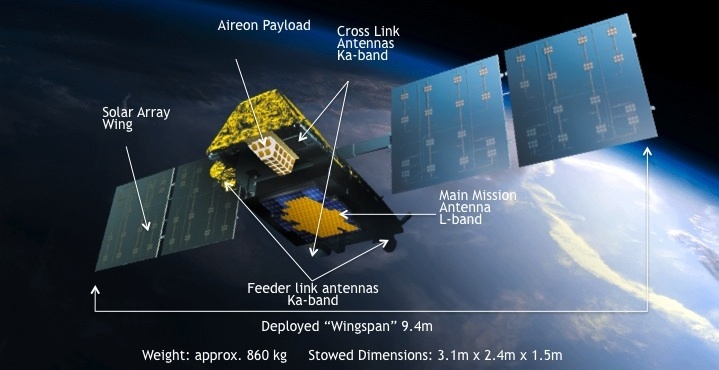 Each Iridium-NEXT satellite, weighing in at 860 Kilograms, hosts a powerful communications terminal that covers a 4,700-Kilometer footprint on Earth to provide different services from telephony over short-burst data delivery all the way to newly introduced high-capacity services that can reach data speeds up to 8Mbit/s – not possible with the current satellite generation. 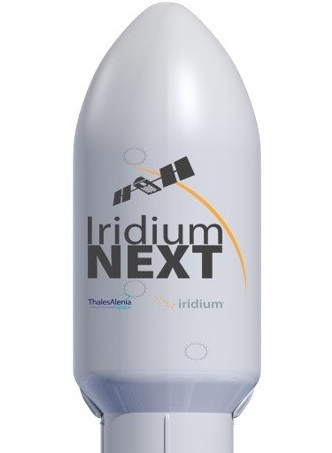 Iridium-NEXT also facilitates three hosted payloads – two dedicated to global monitoring of ship and air traffic and the third comprising a series of sensors to establish an unprecedented Earth observation capability with a global revisit time of just two hours. Known as GEOScan, the instrument suite will be capable of global image collection, space environment measurements, sensing of atmospheric properties and delivering unique data on mass movements on Earth as well as the planet’s radiation imbalance which, up to this day, could not be measured directly but represents a key parameter for climate research. SpaceX and Iridium are gearing up for a steady mission pace with the second Iridium launch planned three months after the first to fully check the initial batch of satellites and then launch subsequent sets every two months. The launch deal between Iridium and SpaceX was signed back in 2010 for a total value of $492 million. Saturday’s mission was the first flight of a Falcon 9 rocket in five months, coming after a lengthy stand-down following the September 1st explosion of a Falcon 9 atop its Cape Canaveral launch pad when counting down to a routine pre-flight engine firing. 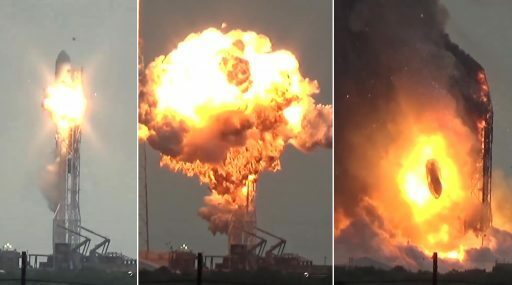 SpaceX completed a painstaking investigation into the failure – uncovering a complex mechanism that led a high-pressure gas tank on the rocket’s second stage to fail in a spectacular fashion, causing the rocket to collapse in a blaze of fire. The investigation found that the Composite Overwrapped Pressure Vessels (COPVs) used as pressurant tanks were susceptible to buckling issues of their metal liners – forming voids between the liner and composite overwrap which filled up with Liquid Oxygen since the COPVs are immersed in the oxidizer tanks of the rocket. 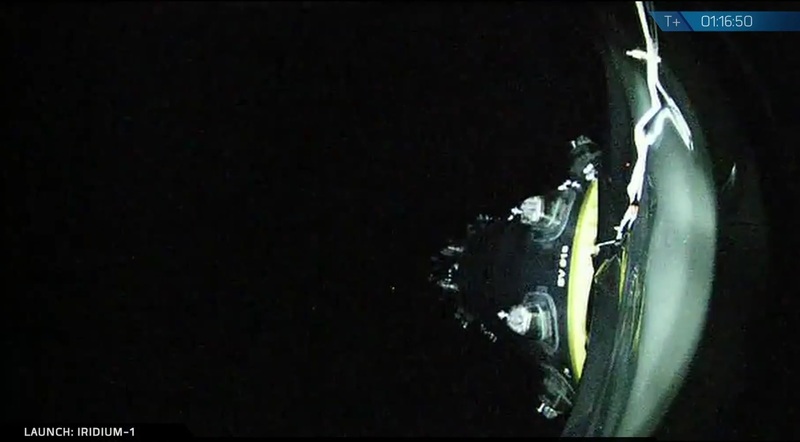 Friction caused the carbon-fiber overwrap to combust with the highly reactive oxidizer leading to the high-speed deflagration seen in video of the accident. SpaceX also suspected that the cold temperature of the helium being loaded into the COPV exacerbated the situation by causing the LOX to freeze – trapping it between the liner & overwrap. SpaceX decided to take a step back and re-fit the Falcon 9 with an older helium pressurization system that has additional tank volume and thus allows helium to be loaded at a higher temperature and earlier in the countdown – ensuring the system fully stabilizes before the supercold LOX is introduced. In the long-term, the company aims to develop COPVs that do not buckle so that Falcon 9 can revert to the newer system that increases the rocket’s performance. Other changes implemented by SpaceX became evident in the tanking timeline for Saturday’s mission which was significantly decompressed compared to previous launches that loaded the two-stage rocket in just 35 minutes time. Countdown operations picked up in the dead of night with the activation of the Falcon 9 rocket for a multi-hour testing campaign, in progress while engineers finished close outs at the SLC-4E launch pad to evacuate the site prior to fueling. The SpaceX Launch Team completed a Go/No Go poll at T-78 minutes, clearing Falcon 9 to head into propellant loading – controlled by an automatic sequencer that kicked in at T-75 minutes. Rocket Propellant-1 started flowing into the two-stage rocket at T-70 minutes and the oxidizer tanks began chilling down so that sub-cooled LOX could begin flowing at T-45 minutes. Fed through interfaces at its base and the Strongback structure, Falcon 9 received over 500 metric tons of chilled, densified propellants. Leading up to a fast-paced final countdown sequence, Falcon 9 received an updated version of its launch profile and the ten Iridium-NEXT satellites switched to battery power inside half an hour to liftoff. Starting at T-7 minutes, operations got really busy as dozens of events had to be checked off – picking up with the chilldown of the Merlin 1D engines on the first stage and followed by the preliminary pressurization of tanks so that Falcon 9 could stand on its own, allowing the Strongback structure to retract just four minutes prior to liftoff. 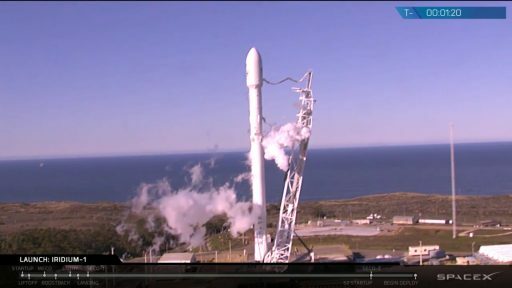 Once switched to battery power, Falcon 9 armed its Flight Termination System and all tanks were confirmed topped-up at flight level by T-2 minutes. Falcon’s computers took over at T-1 minute to command the final pressurization of tanks and the ignition of the engines. Falcon 9 came to life at T-3 seconds, soaring to a total thrust of nearly 700 metric ton force with liftoff occurring at the precise time of 17:54:39 UTC. Powering away from its launch pad, the 549-metric ton rocket climbed vertically for 20 seconds before pitching and rolling onto a southerly departure on an azimuth of 179.2 degrees. 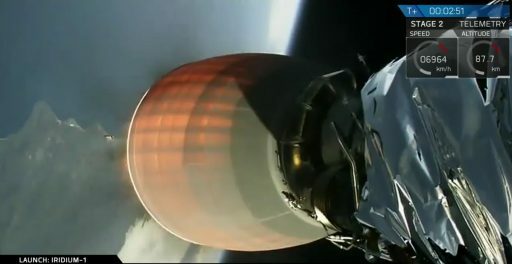 Burning through 2,500 Kilograms of propellant per second, the first stage accelerated the rocket to the speed of sound in just over a minute and Falcon 9 stepped off the gas briefly when passing Maximum Dynamic Pressure 69 seconds after liftoff, throttling back to around 80% to reduce stress on the vehicle. The first stage shut down at T+2 minutes and 25 seconds, having achieved a speed of 1.94 Kilometers per second, 5.6 times the speed of sound. Stage separation occurred three seconds later, at an altitude of 70 Kilometers, using four pneumatic devices to push the first stage away to clear the MVac engine for ignition. Ignition of the second stage was confirmed two minutes and 35 seconds into the flight as the MVac engine soared to 95,000 Kilogram-force of thrust to push the vehicle into orbit via a burn of six minutes and 34 seconds. 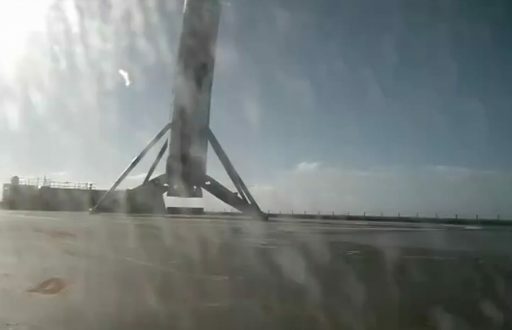 With the second stage continuing the climb uphill, the first stage booster entered its fast-paced return sequence to home in on the exact coordinates of the ‘JRTI’ Drone Ship located around 370 Kilometers downrange from the launch pad, west of San Diego. 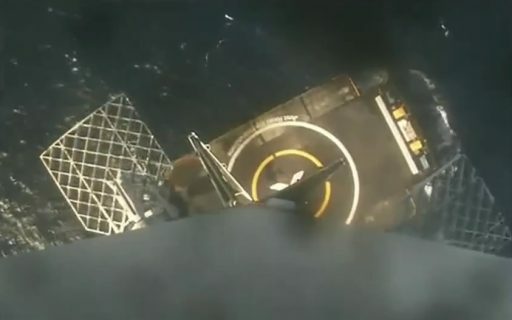 Although Falcon 9 lifted its heaviest payload yet, the mission had sufficient propellant margin to permit a partial boost-back on the first stage, limiting its downrange travel distance for landing closer to shore. Immediately after staging, the Falcon 9 booster used its Nitrogen thrusters to swing around to an engines-first orientation, firing up a subset of its engines four minutes and 18 seconds into the mission for a retrograde maneuver of around 30 seconds. 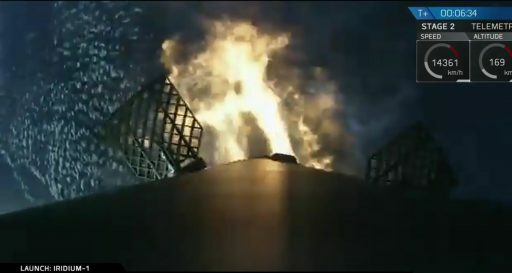 Still outside the atmosphere, Falcon 9 deployed its four actuated grid fins and re-oriented for the three-engine re-entry burn that commenced at T+6 minutes and 30 seconds. Firing the engines for ~16 seconds was designed to slow the booster down and create a more benign re-entry environment. Descending through the atmosphere for nearly a full minute, the booster steered with the four grid-fins, actuated along two axes to allow Falcon 9 to modify its angle of attack to adjust its descent profile and also fly out cross-track errors. 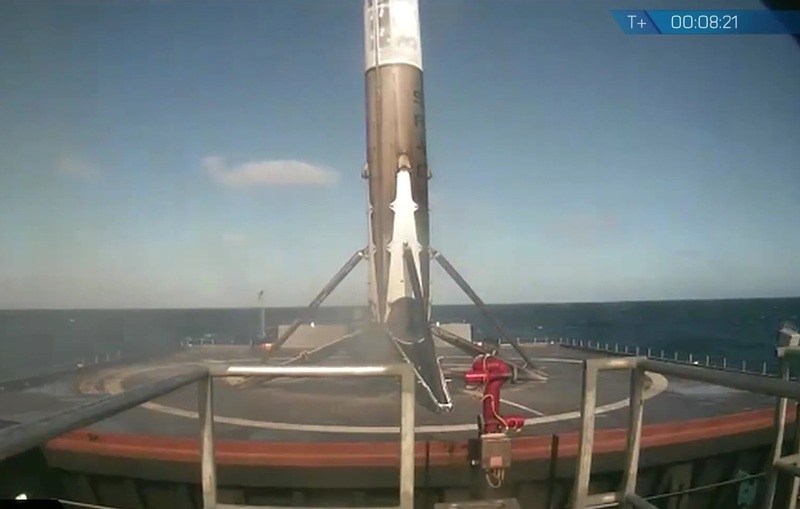 The booster then fired up its center engine and folded out four landing legs, entering a stable descent toward the large SpaceX logo in the center of the drone ship’s deck. Onboard video provided a live view of the rocket’s descent toward a bullseye landing – the first for the JRTI drone ship. The booster successfully set itself down after an eight-minute and ~10-second journey to the edge of space and back. Controllers quickly switched over to the Landing Operations Net to remotely safe the landed vehicle before workers can return to the drone ship to secure the rocket on deck for the trip back to land. This marked SpaceX’s first successful drone ship landing in the Pacific, the fifth sea-based recovery and the seventh overall, furthering the company’s re-use ambitions. While the first stage’s journey came to a successful conclusion, higher up and further south, the second stage finished its first engine burn – injecting the stack into a slightly elliptical orbit peaking over 600 Kilometers in altitude. Next was a 43-minute coast phase to enable the stack to climb up all the way to the high point of the orbit where an impulse provided by the second stage could bring up the perigee altitude and circularize the orbit. A three-second engine re-start 52.5 minutes into the flight was all that was needed to put the vehicle into a circular orbit. The mission targeted a non-synchronous orbit 625 Kilometers in altitude, inclined 86.66 degrees – information provided in real time indicated the target orbit was achieved as planned, orbital data will become available later on Saturday. Arriving at its orbital destination, the second stage set up for the separation of its ten passengers that launched clustered around a cylindrical adapter with two tiers and five satellites fastened to each segment. The ten satellites departed their launch vehicle one-by-one, about 100 seconds apart to ensure proper spacing between the spacecraft. The only minor flaw in Saturday’s flight was a problem with one of the ground stations employed for this mission and expected to provide real time insight into the satellite separation sequence. 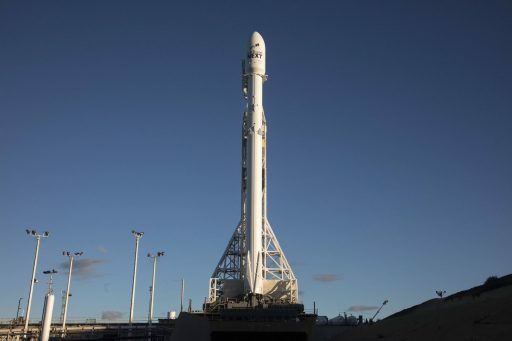 SpaceX had to wait for telemetry playback through the next tracking station to confirm that indeed all ten passengers were sent on their way, the last departing the dispenser at T+74 minutes. 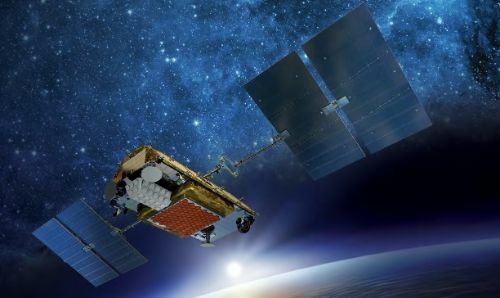 Iridium will work throughout the day and night to confirm all ten satellites are alive and well, starting out in a lower orbit than the rest of the constellation. Three months of detailed checkouts of the communications system and hosted payloads are planned before the satellites will phase into the operational Iridium constellation that orbits 780 Kilometers in altitude. 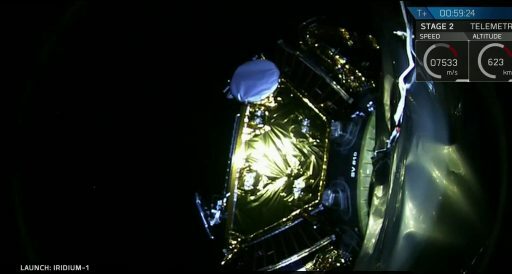 The launch was optimized to target a hole in Plane 6 of the current Iridium constellation where a satellite failed last year and no more spare was available to restore full coverage of the constellation. Saturday’s launch marked the 29th flight of a Falcon 9 (not counting the rocket lost in the September 1st pre-launch accident), it was the 9th launch of the Falcon 9 Full Thrust version and the third Falcon 9 launch from Vandenberg.